The members of the governing elite in Iran describe the public speeches by Iranian women as meaningless and unauthorized. In conformity with the logic of the governing elite, the intellectuals advocating women’s rights argue that ordinary women in Iran are unable to produce meaningful arguments and public speeches to defend their rights. The former counts the public speech of Iranian women in general as a threat to its position of power. The latter considers it a threat to the relation of intellectual mastery it has established or can establish with ordinary women. The ruling elite in Iran substantiate their argument with reference to the natural capacities of men and women. The advocates of women’s rights argue that the local culture and global ideological apparatus are too complicated to be understood by ordinary women. 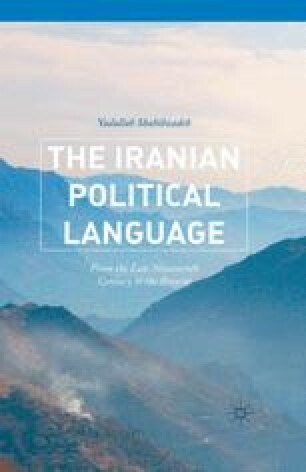 They argue that the Iranian women lack the education that qualifies them to demystify the repressive forces of the patriarchal culture, Islamic fundamentalism, and the colonial modernity’s ideological apparatus. This argument implies that Iranian women need the disenchanted universalists and post-colonial feminists to enlighten them about the nature of their culture, Islamic fundamentalism, and global capitalism. Similar to those in power in Iran, the advocates of women’s rights assume that Iranian women are destined to occupy particular positions in society.